Call 0151 673 0008 and speak to our expert team. 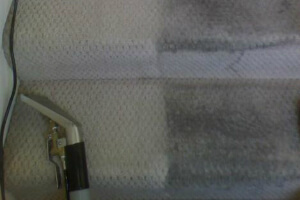 With a wide range of capabilities, we can ensure the finest rug and carpet cleaning in the entire Speke L24 area. Check back with us often, each month we have special deals and offers which can save you up to 35% for your next cleaning bill. Quality Property Care Ltd. is a reputable and widely recognized professional rug cleaning company. It has more than 10 years of rich working experience in the field. Through the years, we have used the best rug cleaning techniques. They are customized for faultless and effective carpet spot and stain removal, as well as to main domestic carpets in top condition. We promise you to brighten and restore any carpet! We are real experts in stain removal. Keep in mind that we can eliminate the following types of stains: paint, rust, oily stains, blood, tea, coffee, moth damage, vomit, wine. 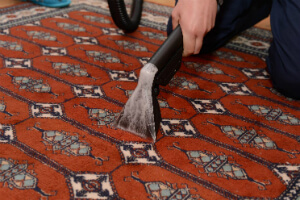 To ensure proper cleaning approach for each carper or rug type, the well-trained and educated carpet cleaners are taught to analyze it at first. There are many different carpet and rug styles out there and we’ve made sure to be able to clean them all properly. Our technicians use a different method for all different kinds, which enables us to properly and safely clean both natural and synthetic fabric. We can clean linen, wool, cotton, synthetic,, organic fiber, viscose, silk, suede, plush, chenille, leather, acrylic, leather, nubuck. With years we’ve managed to refine our stain removal procedures to a science allowing us to eliminate not only paint, tea, oily stains, rust, blood, coffee, vomit, wine and moth damage, but also cope with synthetic and organic and synthetic stains. For more sensitive materials like silk and cotton we use a more gentle approach which does not rely on heat or moisture to remove a stain. Natural materials hardly ever react well to both moisture and heat so we are using a special dry compound which is in a granulated form. The same method of stain and rug or carpet prepping applies as was explained in the hot water extraction method, allowing us to better remove the blemish. This time we pre-treat the spot with a special detergent, specially selected for the kind of fiber we are cleaning. It’s applied and let to set into the spot. Once that is done we apply the granulated detergent and spread it using a fine brush. This imbeds it into the fibers of the material forcing it into the stain. The dry ingredient is also let to set for 10 mins after which we get it using a high powered vacuum machine, removing 100% of the filth and detergent. There is no trace left, leaving both your carpet and natural rugs fully cleaned and spotless. When it comes to rugs we clean Wool rugs, Persian rugs, Chinese rugs, Tibetan rugs, area rugs, handmade rugs, silk mix rugs, shaggy rugs, Indian rugs, Turkish rugs, Egyptian rugs, play rugs, entrance mats, floor mats, logo mats, antique rugs, rubber mats, industrial mats and anti fatigue mats. Book any time by calling 0151 673 0008 or posting a booking form on our web site. Get in touch with us with no hidden fees and any obligations.